Lammin biologisen aseman Ympäristötutkimuksen Säätiö: Unlimited resource – unlimited pollution? Unlimited resource – unlimited pollution? The world is suffocating with excess nitrogen. 78 % of air is molecular nitrogen N2 which is in a form practically not exploitable to life. When this molecule is altered into reactive nitrogen Nr, it is a starting point of a cascade of multiple effects in our environment. Naturally, formation of reactive nitrogen happens during lightning and in biological nitrogen fixation with some leguminous plants and algae. They provide ecosystems this essential macronutrient which determines the productivity along with phosphorous. In more pristine environments, without any human influence, the amount of Nr is very low. However, in 1909 Fritz Haber made an invention that changed the world. In order to supply nutrients desperately needed in agriculture feeding the growing human population – and into explosives industry – he presented a process that could modify molecular nitrogen into reactive form under presence of high temperature and pressure, known as Haber-Bosch process. Now, a hundred years later – the amount of Nr has doubled in the environment – mainly due to poor use efficiency of industrial fertilizers in agriculture where most of the Nr is lost to the environment. Part of the increase of Nr is based on different combustion processes in industry and transportation. Nr spreads with winds and is found in elevated amounts even in pristine environments situated hundreds or thousands of kilometers away from any human activities. Excess Nr can have many unwanted effects to the environment as Nr is transferred sequentially through the environmental systems. 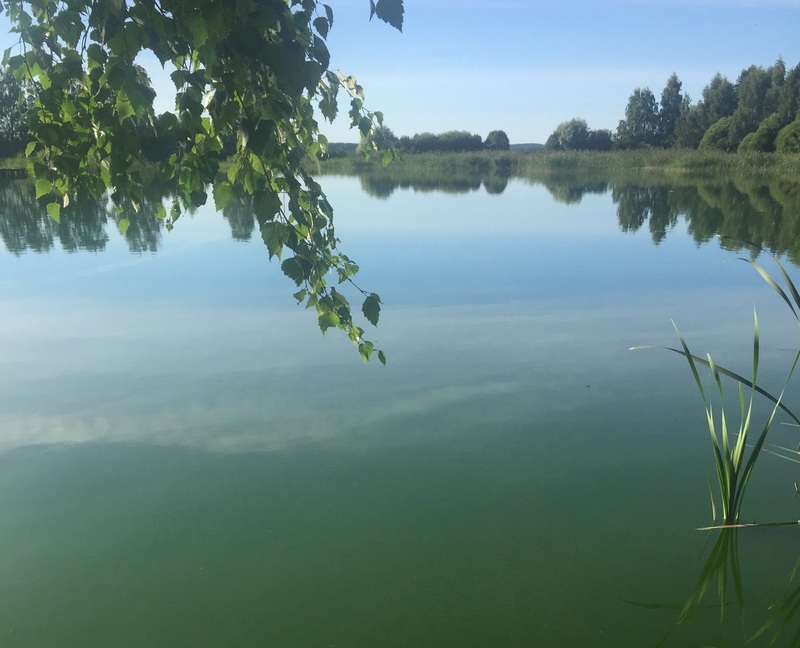 Added Nr is causing eutrophication in aquatic ecosystems threatening the quality of water used in consumption, agriculture, fish production, industry and recreation. Acidification and increased productivity is resulted in massive loss of biodiversity globally. Nitrogen pollution in air manifests by producing 300-timer stronger greenhouse gas compared to CO2 causing climate change, contributing to the production of toxic ground level ozone, and being the main cause of destruction of the protective UV-blocking ozone in stratosphere. Perhaps the most known effects to the public are the several hundred dead zones in marine environments, like in the Baltic Sea and Gulf of Mexico, and health risks like blue baby syndrome, respiratory illnesses and cancer. It seems the negative impacts are already exceeding the benefits. The best and most efficient way of reducing nitrogen pollution would be limiting the use of industrial fertilizers and focusing in recycling the nitrogen in the form of fertilizers made from wastes and by-products. Human societies are practically wasting valuable nutrients in agriculture and wastewater treatment into waters, favoring the use of cheap industrial fertilizers. Or is it really cheap? 2 % of the world energy consumption is caused by industrial nitrogen fixation most of which is afterwards lost to the environment in agricultural practices. If we included the monetary valued negative impacts to the environment and health in the price of nitrogen fertilizers, the price would be significantly higher. The cost of health problems caused by Nr is 70 million euros/year in EU. Scientist have reached a conclusion that we have already exceeded the planetary boundaries of safe operating space in nitrogen use, in the rate of biodiversity loss and in climate change. Even if we stopped using nitrogen fertilizers right now, the soil could be leaching Nr into the watershed for decades. The nitrogen is accumulated in the root zone of agricultural soils and released into watershed over time. If this is the case, we need much more long-term purifying capacity in the watersheds that can efficiently remove excess nitrogen from water and release it back into the atmosphere via microbial denitrification process or store it in biomass that can be recycled. Since 1990´s, constructed wetlands (CWs) have been frequently built for the purpose of catching the nutrients released by agricultural area or wastewater treatment plants. From a recycling point of view, denitrification could be criticized as a waste of nitrogen. However, as the recycling of nutrients in agriculture or in wastewater treatment cannot reach the 100 % efficiency, CWs can help to block this gap leaking into watersheds. During the 1900s when man doubled the amount of Nr, he also drained 70% of the world´s wetlands. This was mainly because of population growth, agriculture, forestry and urbanization. With this reduction of wetlands, we have now lost much of the ecosystem services they provide. Constructed wetlands mimic the purifying processes of natural wetlands. It has been found that even moderately sized CWs can retain nutrients if built correctly near the nutrient source and have enough detention time. To promote biodiversity, CWs should have comparably large surface area. The nitrogen crisis is not just local, but a global issue. It needs governmental policy as well as individual decision-making in everyday life. Constructed wetlands and natural wetland restoration are important part of the sustainable Green Economy. PhD student Sari Uusheimo is a 2015 LBAYS grant recipient for her work on denitrification in constructed wetlands.